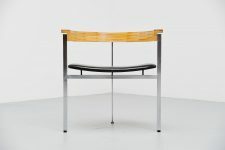 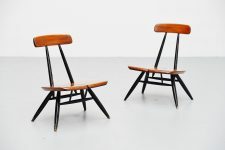 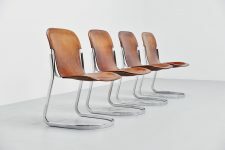 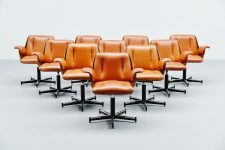 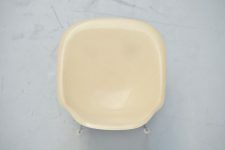 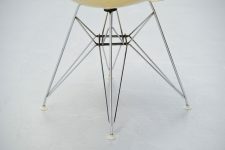 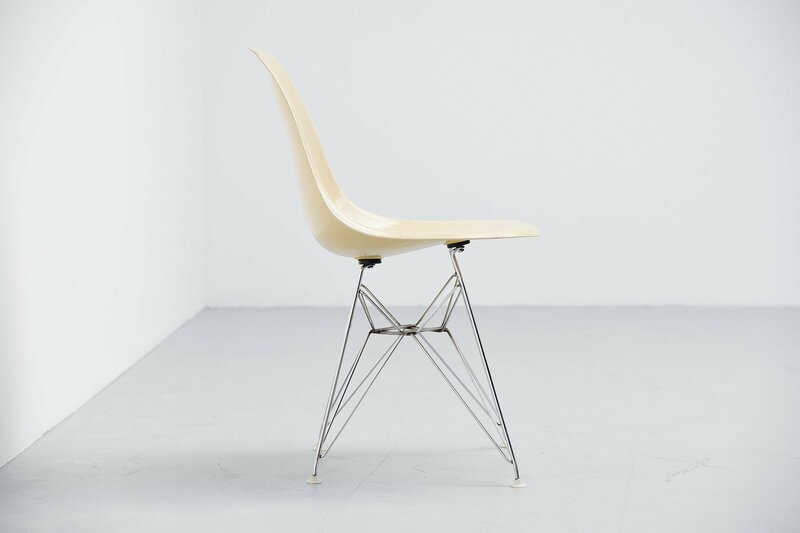 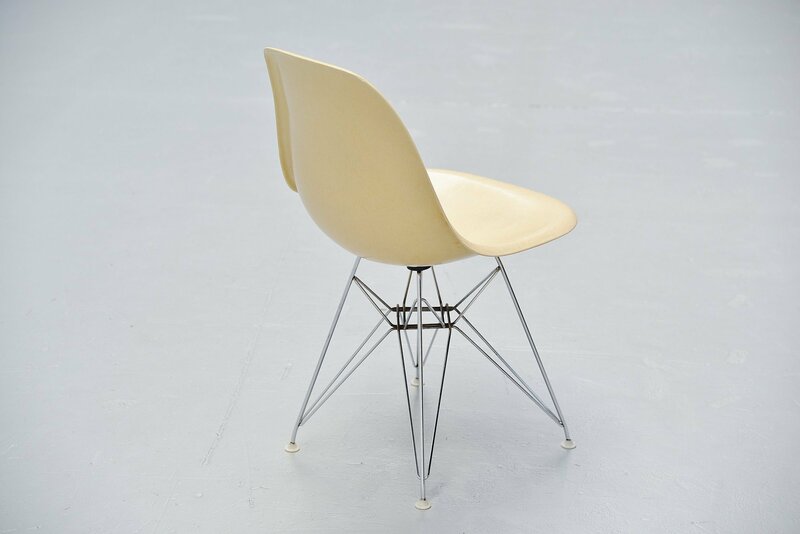 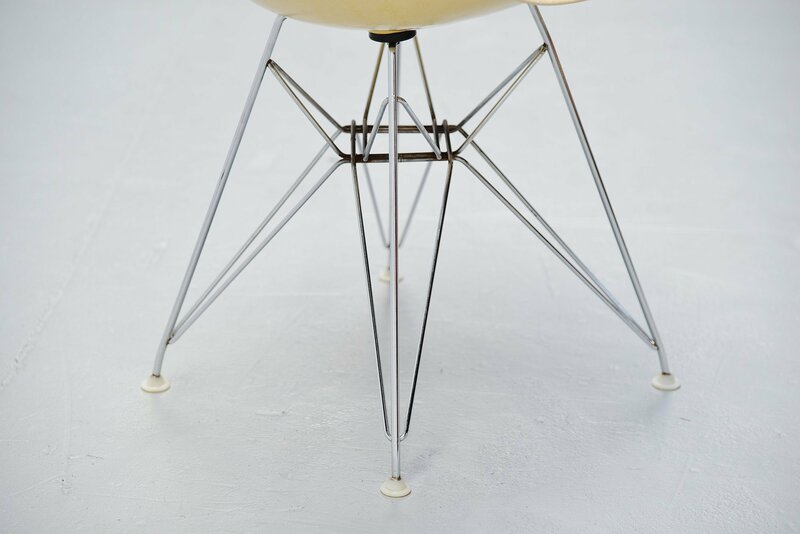 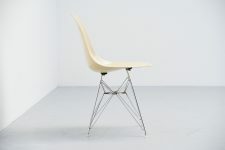 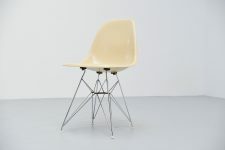 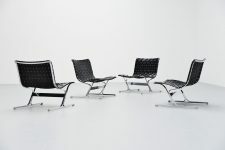 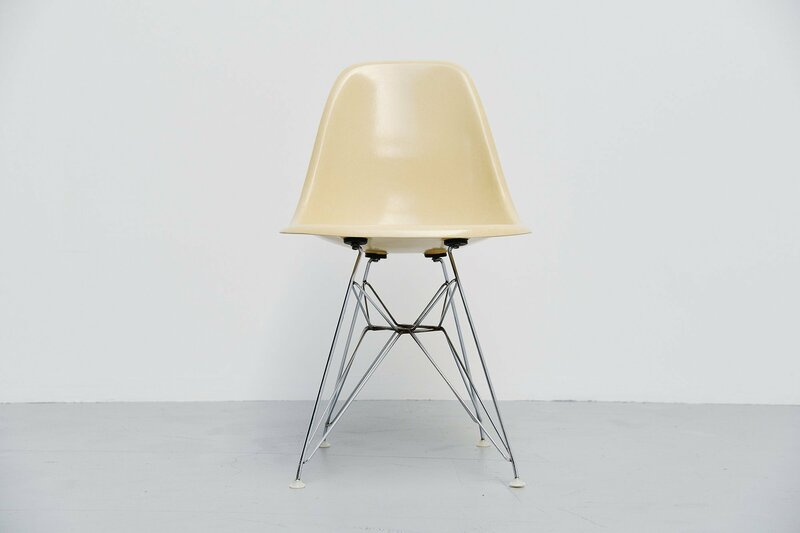 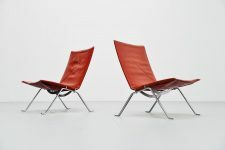 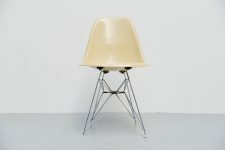 Very nice and early DSR Eiggel base design iconic chair designed by Charles and Ray Eames and manufactured by Herman Miller, United States 1957. 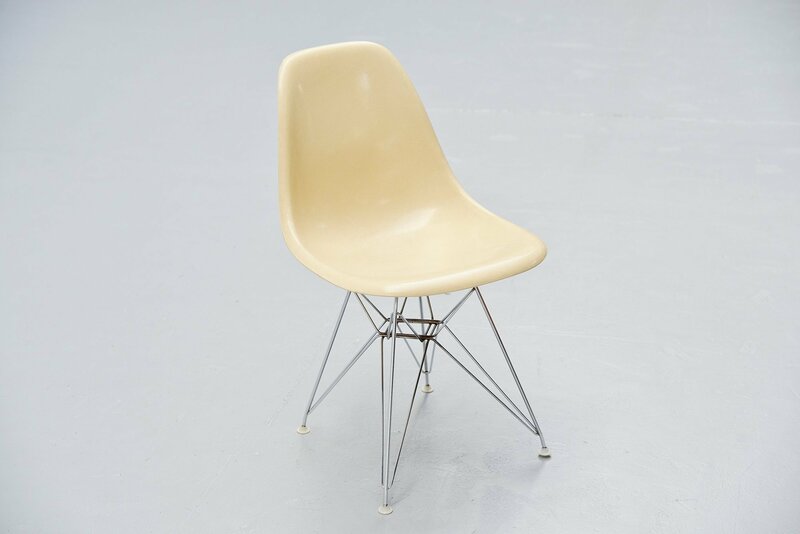 This early chair is on its original chrome plated eiffel base and has an off white fibre seat which is in good original condition. 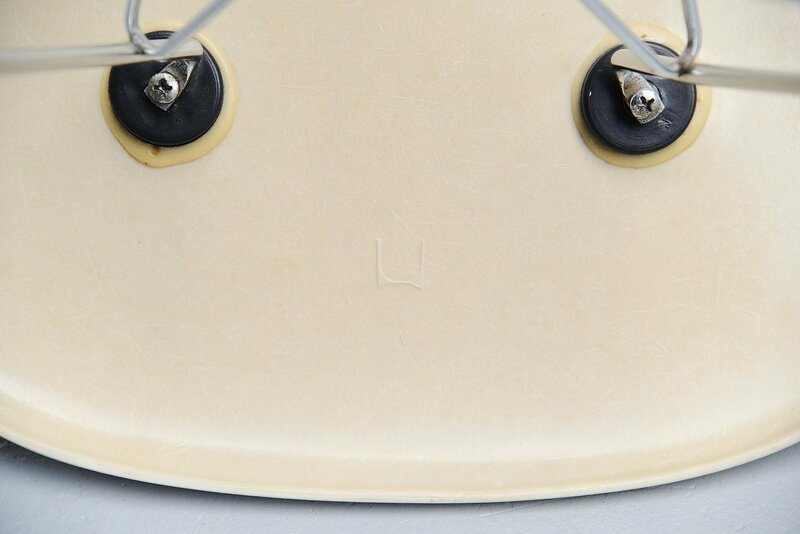 The chairs is signed with the H from Herman Miller on the bottom of the seat. 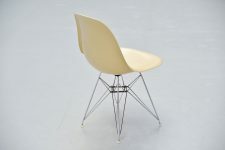 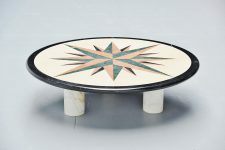 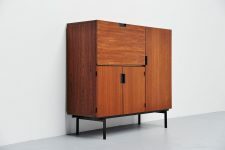 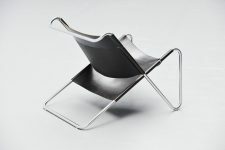 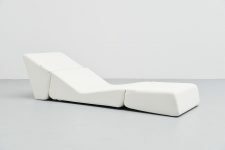 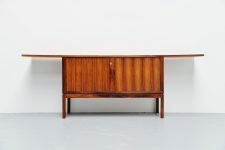 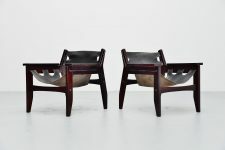 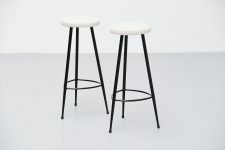 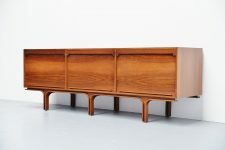 Very nice side chair for anyone who wants to have a real design icon in your home or interior.